Welcome to to the DEALL 50th Anniversary website! 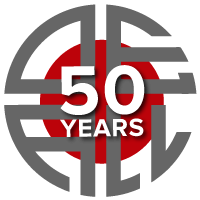 We, in the Department of East Asian Languages and Literatures (DEALL), are excited to celebrate the 50th Anniversary of DEALL’s founding at The Ohio State University. While language courses have been offered in DEALL since 1962, we became a full-fledged Ph.D. degree-offering department five decades ago in 1969-1970, one century after the founding of The Ohio State University in 1870. Over the intervening five decades since its establishment as a department, DEALL has had numerous achievements. It has contributed to the state of Ohio, the country and the world through offering Chinese, Japanese, and Korean culture, language, linguistics, literature, and performance courses. A Ph.D. degree was offered in Chinese since 1969 and in Japanese since 1989. DEALL has a proud tradition of exceptional scholarship and a deep commitment to undergraduate and graduate education. For instance, doctoral students have now successfully defended about 130 dissertations and gone on to many prominent positions in the field. In addition, BA and MA graduates have successful careers in the world, with many of them working in East Asia. We invite DEALL alumni to join us in celebrating our 50th Anniversary. A slate of events, to be planned during the 2019-2020 academic year, will take place over a two-day weekend on the OSU campus in Spring 2020. The two-day event is tentatively scheduled for April 18 and 19, 2020. Stay tuned for more news in the coming months! Posted by Marjorie Chan at 4:55pm December 9, 2018 Bookmark the permalink.